Rhyming Words, Candy Corn Math, Alphabet, Seasons, Needs & Wants, Vowel Teams, Beginning Letter Sounds, Comparing Numbers, Addition, and More! I have bundled up 12 of my dollar deals, to give you an even bigger discount. This bundle includes 12 of the dollar deals that are currently in my store! 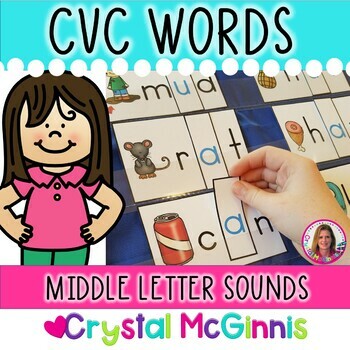 This dollar deal is perfect for practicing middle (medial vowel sounds). 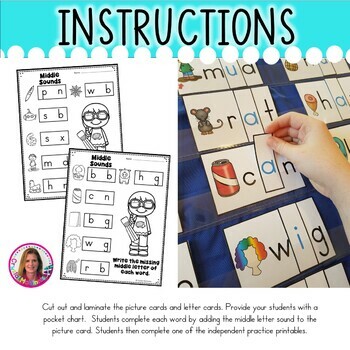 This set includes 30 word/picture cards for your students to practice medial letter sounds with. 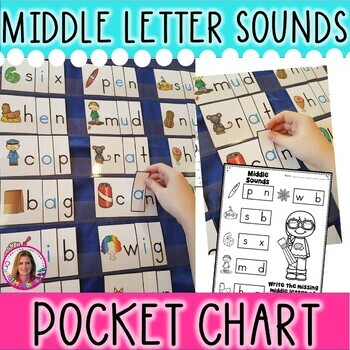 Students place the correct middle letter with each word in a pocket chart. 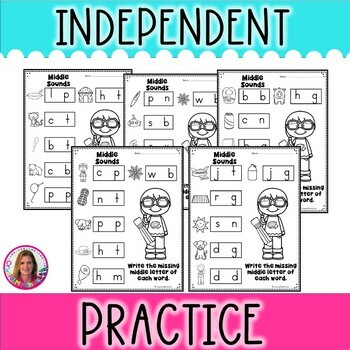 Students then complete one of the five independent practice printables. I created this set in COLOR & BLACK AND WHITE for you!